From his earliest years, Walt Disney aimed to expand his boundaries: physical, creative, and intellectual. Throughout his life, Walt was a frequent and enthusiastic tourist, visiting destinations around the United States of America and across the globe. Whether attending a premiere, supervising a film production, or simply vacationing with his family, the All-American Walt became a citizen of the world "from Denmark to Argentina, England to Greece, Austria, Chile, Canada, France . . . all of them welcomed Walt as an emissary of his good name, good works, and good reputation. 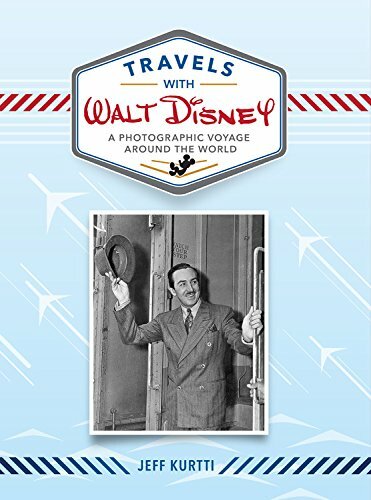 In Travels with Walt Disney: A Photographic Voyage Around the World, seldom-seen and never-before-published photographs are showcased along with eyewitness recollections and enlightening anecdotes, arranged into a one-of-a-kind travel journal as if Walt himself might have documented these exciting excursions in one special place to keep the memories alive "and to share with readers.